It was an interesting experience, albeit being quite warm inside the carriages. May be boring for some depending on your interests. A tad pricey but overall quite fun for us. 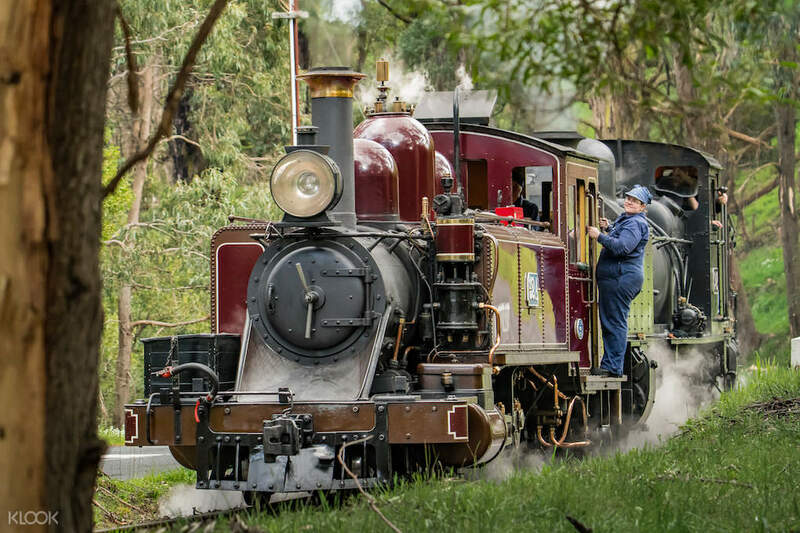 Hop on the historic Puffing Billy Steam Train and get to your desired destination from Belgrave to Lakeside or Gembrook. Have a hassle-free journey as you avoid the dreaded ticket lines and secure easy seats on the train. Choose from single journey or return tickets - have the option of picking a return schedule from the timetable (return tickets only) on the same day. 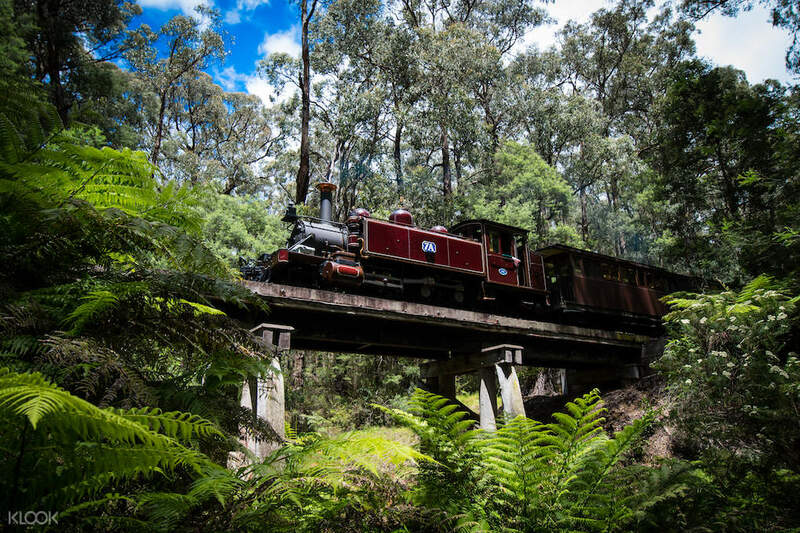 Relax on your comfortable seats and witness scenic views as you travel through forests, fern gullies and farmlands of the magnificent Dandenong ranges! Interesting activity. Easy to redeem the tickets belgrave-lakeside. If you are in hurry just need to book the return ticket from belgrave-menzie’s creek. The good view which is the wooden bridge is not far from the belgrave station. No other wooden bridge after that. Interesting activity. Easy to redeem the tickets belgrave-lakeside. If you are in hurry just need to book the return ticket from belgrave-menzie’s creek. The good view which is the wooden bridge is not far from the belgrave station. No other wooden bridge after that. the view is amazing. bring your own snack so you can have a picnic at the Lake side. also spend some time to go around Dandenong. there' s lots of cute store. it's near from the puffing billy station. just take the bus and stop at mrs marple tea room. the view is amazing. bring your own snack so you can have a picnic at the Lake side. also spend some time to go around Dandenong. there' s lots of cute store. it's near from the puffing billy station. just take the bus and stop at mrs marple tea room. Bought the ticket online via KLook and easy to redeem straight at the ticket sales counter at Belgrave. Recommend to ride the puffing billy in the morning at 10.30am, less crowded if not peak seasons. Should come early and you can see how they start the head of the steam train and attaching the head with the carriages. The volunteers are really friendly and you can asked them anything and they will answer them with a smile. The journey is very breathtaking and for those who likes to take pictures, should sit at the right side of the carriages for onwards journey towards Lakeside because most of the scenery and the bridge with narrow cornering was at the right side. Bought the ticket online via KLook and easy to redeem straight at the ticket sales counter at Belgrave. 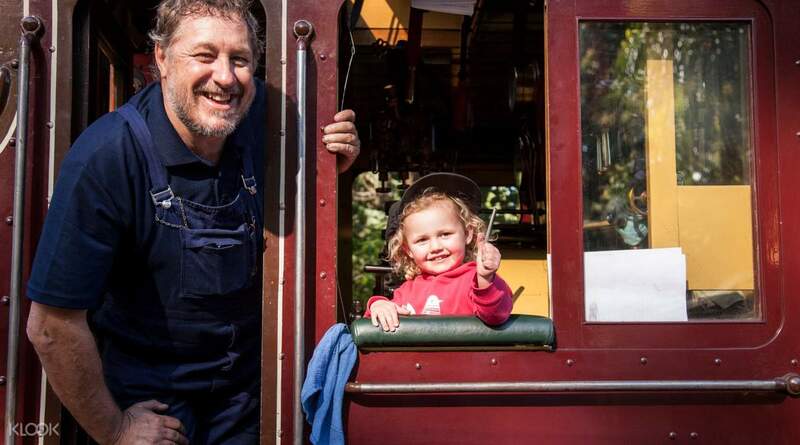 Recommend to ride the puffing billy in the morning at 10.30am, less crowded if not peak seasons. Should come early and you can see how they start the head of the steam train and attaching the head with the carriages. The volunteers are really friendly and you can asked them anything and they will answer them with a smile. The journey is very breathtaking and for those who likes to take pictures, should sit at the right side of the carriages for onwards journey towards Lakeside because most of the scenery and the bridge with narrow cornering was at the right side. Is a very good experience in this old Steam Train. My booking time is 12.30pm, I was late because of the baggage delay. I was there around 1pm, but I still can get my next train. Although it’s very rush for us, but at least we still can experience it. Is a very good experience in this old Steam Train. My booking time is 12.30pm, I was late because of the baggage delay. I was there around 1pm, but I still can get my next train. Although it’s very rush for us, but at least we still can experience it. It was a nice and very nostalgic experience riding this old steam train. We booked the 12:30pm ride but we arrived just in time for the 11:10am. They allowed us to board early :) The view going to Lakeside is so good. It was a nice and very nostalgic experience riding this old steam train. We booked the 12:30pm ride but we arrived just in time for the 11:10am. They allowed us to board early :) The view going to Lakeside is so good. Quite a distance if you are coming from the CBD to Belgrave. But it was totally worth it. Very nostalgic experience riding on the train. Stop over at beautiful Lakeside station for a coffee and photo taking sessions. Lastly, booking with Klook makes it easy.. Quite a distance if you are coming from the CBD to Belgrave. But it was totally worth it. Very nostalgic experience riding on the train. Stop over at beautiful Lakeside station for a coffee and photo taking sessions. Lastly, booking with Klook makes it easy.. It was an eye opener. Happy that Australian government was able to preserve such a heritage. Recommended to go if around the area. Kids friendly. Overall was good experience. However I wouldn’t go back for a second time though. It was an eye opener. Happy that Australian government was able to preserve such a heritage. Recommended to go if around the area. Kids friendly. Overall was good experience. However I wouldn’t go back for a second time though. Very easy to use. Just give them the coupon, and can get in. Very nice trip to take the old train, it was so much fun. Very easy to use. Just give them the coupon, and can get in. Very nice trip to take the old train, it was so much fun.